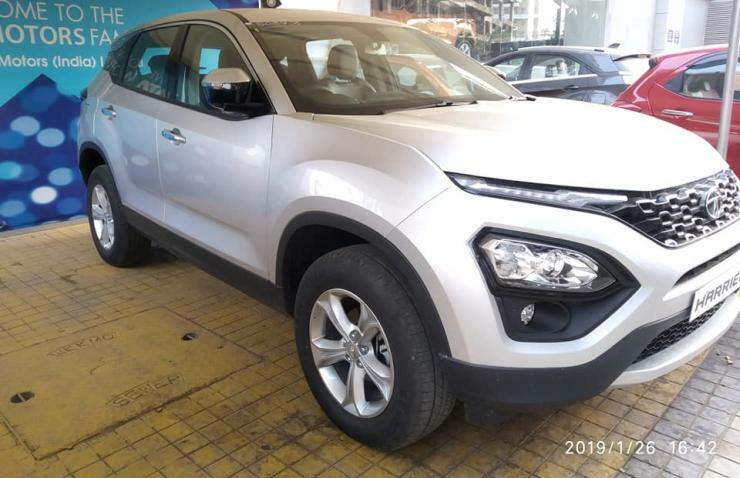 The Tata Harrier is currently the most popular vehicle in India. Tata launched the big SUV on 23rd of last month with prices starting at Rs. 12.69 lakhs (ex-showroom, Delhi). The Harrier comes with several class leading features along with spacious interiors and mesmerizing exterior body design. The Harrier comes with five different colour options which includes the official marketing orange colour. The video below by Auto Comparo showcases all the five shades available on the SUV. Take a look to checkout how the Harrier looks in different shades. 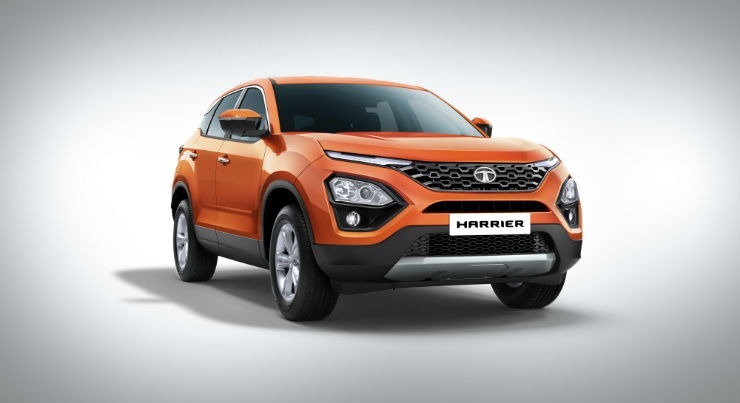 As already mentioned earlier, the Tata Harrier is available in 5 different paint shades. The five colour option consist of Calisto Copper, Thermisto Gold, Ariel Silver, Telesto Grey and Orcus White. Among these, the orange paint shade is quite popular due to its usage during media drive and marketing. However, the base variant of the SUV is only available with Orcus White colour shade. Talking about the SUV, it is built upon a newly developed platform derived from Land Rover’s D8 platform that also underpins the Discovery Sport. The platform has been named OMEGA by the company. Talking of the design and exteriors, the Harrier is quite a handsome SUV. It is based on the H5X concept shown by the company at the 2018 Delhi Auto Expo. The design transition from concept to production model is not much and the SUV retains most of the styling from the concept. Combined with its large size, the Harrier is quite imposing to look at and a definite head turner. Also, it is the biggest vehicle in its segment currently. 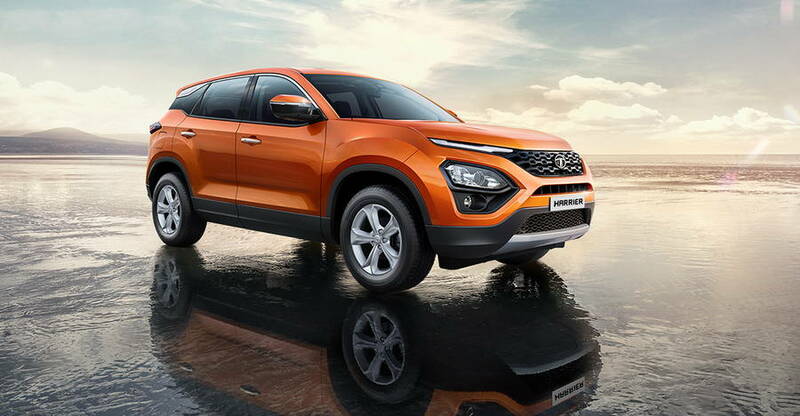 The Tata Harrier is powered by a 2.0 KRYOTEC engine that develops of 140 Bhp of power and 350 Nm of peak torque. It is actually a Fiat sourced 2.0 litre Multijet engine that is also found under the hood of Jeep Compass. However, it has been tuned for fuel efficiency by Tata and has a different torque curve from the Fiat unit. The engine is mated to a 6-speed manual transmission and the power goes to the front wheels. For now, Tata has decided to not offer an automatic transmission but it is expected to be launched with an automatic version at a later time. With a base price of Rs. 12.69 lakhs (ex-showroom, Delhi), Tata has already won half the battle. However, other manufacturers are also preparing for launching new vehicles in the segment. The SUV segment is showing quite a lot of growth in India and is likely to increase in future. New players like MG and Kia will also be bringing in their new vehicles in the segment this year in the form of the Hector and SP respectively. It will be interesting to see then how the Harrier fares against these new challengers.